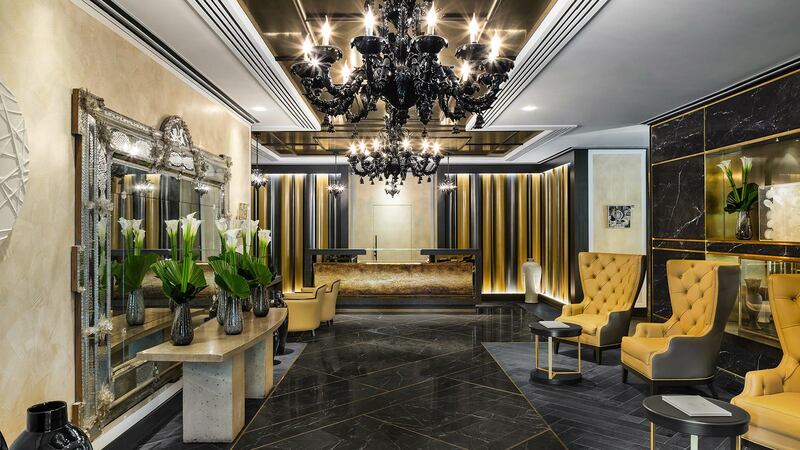 Discover the warmth of Italian hospitality, the unmistakable pleasure of an aromatic espresso, and the gratifying experience of smooth, tailor-made service at the Baglioni Hotel London, your Italian home away from home in Kensington. 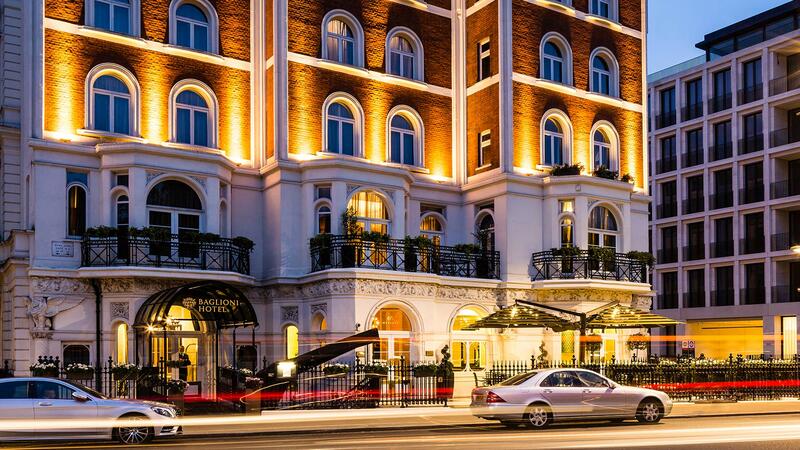 Our Italian sense for style sets us apart as one of the finest 5-star luxury hotels in London. 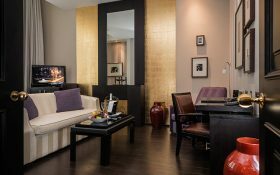 Whether you are here for business or pleasure, a stay in our elegant and welcoming suites will make your trip unforgettable. 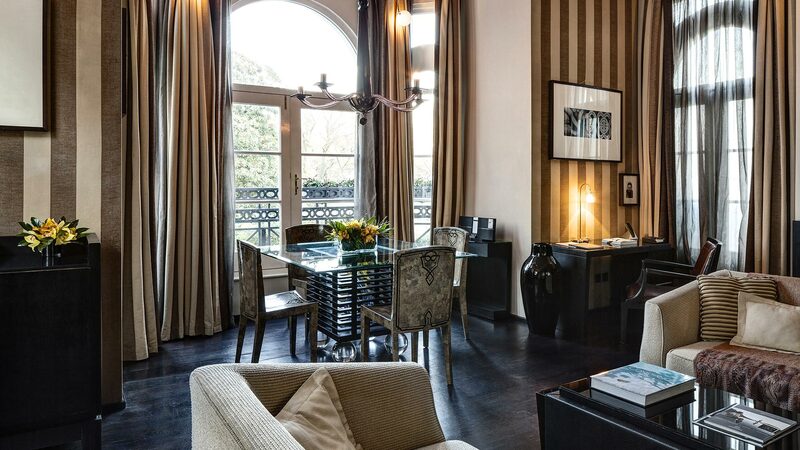 Our Italian hotel in London is a perfect haven of tranquility and sumptuous simplicity in one of the most exclusive, elegant and celebrated parts of the city. 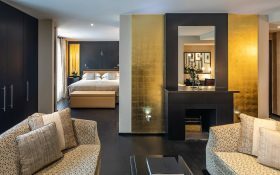 Relax your body and mind in our recently renovated Baglioni Spa or challenge yourself in our modern gym. 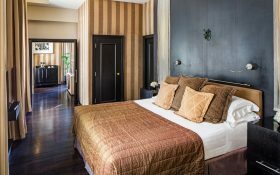 The Baglioni Hotel London is perfectly situated in the exclusive and prestigious location of the Royal Borough of Kensington and Chelsea. 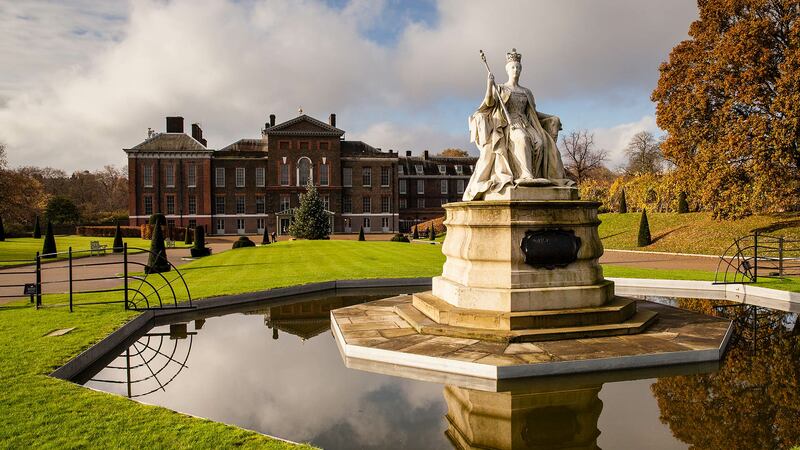 Sitting right next to Hyde Park and Kensington Gardens, once the private gardens of Kensington Palace, it is close to many of London’s best and sought out cultural attractions, shopping areas, restaurants and bars. You can reach the Royal Albert Hall, the Natural History Museum and the V&A in just a few minutes. A 10 minute walk from the Baglioni Hotel London, England’s most famous concert hall was built in 1871 as a memorial to Queen Victoria’s Prince Consort. 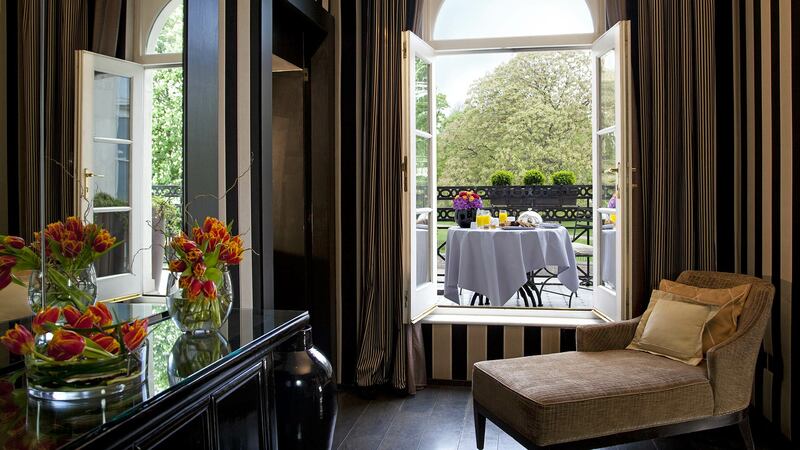 The hotel's most prestigious suite offers a wonderful view of the greenery of Hyde Park and Kensington Palace. It has three bedrooms, two living rooms and a large terrace. 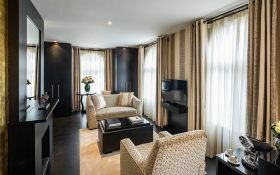 Consisting of two modern-style bedrooms, the Suite overlooks Kensington Palace and the extensive lawns of Hyde Park. The living room has a large balcony and a French door. 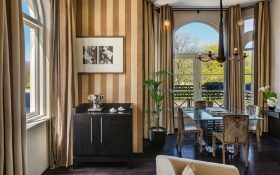 Looking out the windows is like diving into the green heart of London, thanks to the view of Hyde Park and Kensington Palace. The elegant living room with fireplace and balcony offer a magical atmosphere. 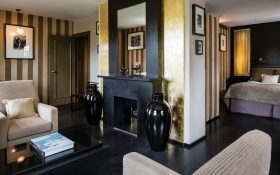 A very spacious one bedroom Baglioni Signature Suite. Large windows and a private balcony offer stunning views over Hyde Park. Very bright, thanks to large windows overlooking the district of Kensington and Hyde Park. In a contemporary style, with the elegant lobby that opens onto a large living area with fireplace. 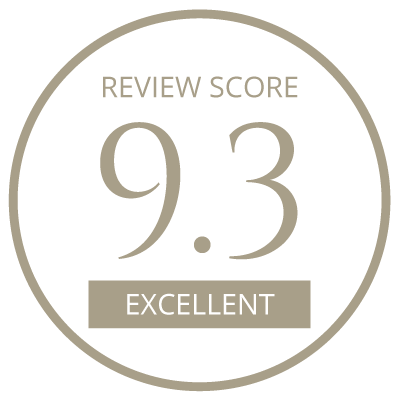 Comfortable, bright, completely renovated and refined design. 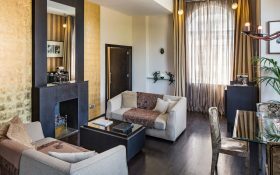 De Vere Suite consists of two separate rooms: a large living room, a large bedroom and a bathroom. Elegant, spacious and at the same time intimate, it is the ideal solution to live and share unforgettable moments in the family, with two comfortable bedrooms and two large living areas with a fireplace. 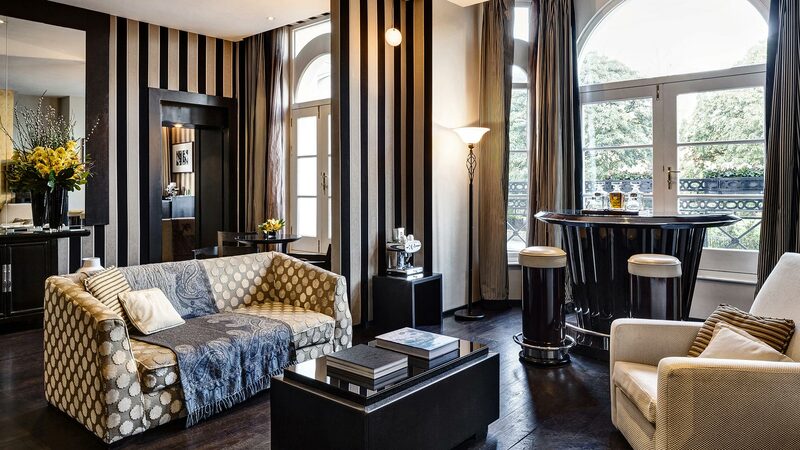 Elegant, welcoming and intimate, the Suite has a living room with a fireplace and a bedroom. Bathrooms have black marble floors, mirrored walls, and handmade copper sinks. Spend Easter day in London with your children and take part in the fun Easter egg hunt in Hyde Park. Enjoy a picnic and then sample a delicious brunch at the Brunello Restaurant. Have fun learning to make Italian dishes, personally guided by a master chef – then relish the results. Enjoy critically acclaimed opera at Opera Holland Park Theatre this summer and attend the performances we chose exclusively for you: from Puccini to The Royal Ballet School, from Verdi to Tchaikovsky. Fresh flowers and stunning bouquets: join at the Judith Flower School in the heart of London for a day and learn how to create a lovely table centrepiece and the perfect handtied bouquet. Haute couture garments, accessories and vintage photography explores the story of the Dior brand through the biggest exhibition ever held in the UK, a special tribute to the couturier du rêve. Peek into the chamber of secrets with a dream visit to Warner Bros Studios, London, where the magical Harry Potter films were made. Explore the astonishing world artfully conjured up by J. K. Rowling. Luxuriate in the sensation of pure relaxation. Revitalise your face with the Sogno lifting treatment by Insìum and savour the delicious vegan creations crafted just for you by our own Italian chef. 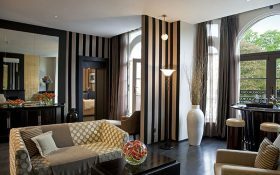 Start your life together in sophisticated style with a sparkling experience suffused with Italian romance. Kew Botanical Gardens houses the largest and most diverse botanical and mycological collections in the world. A window into the flavours of Italy. 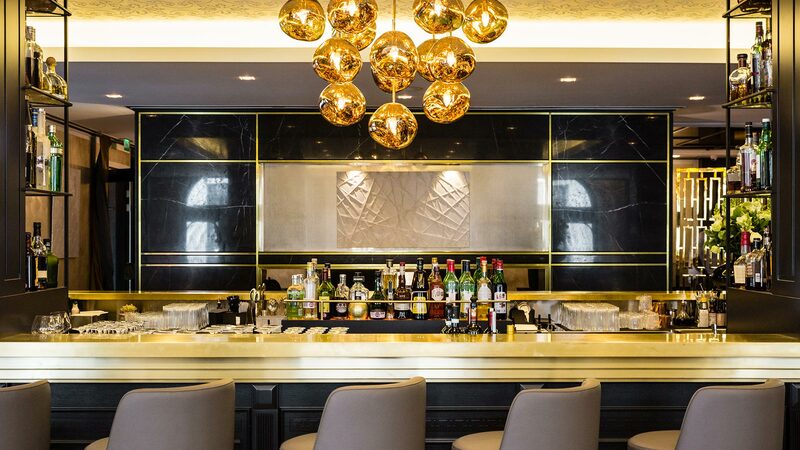 The Brunello Bar and Restaurant is a meeting point for anyone who wants to enjoy the typical flavours of Italian cuisine in London, all whilst taking in a splendid view of the gardens of Kensington. 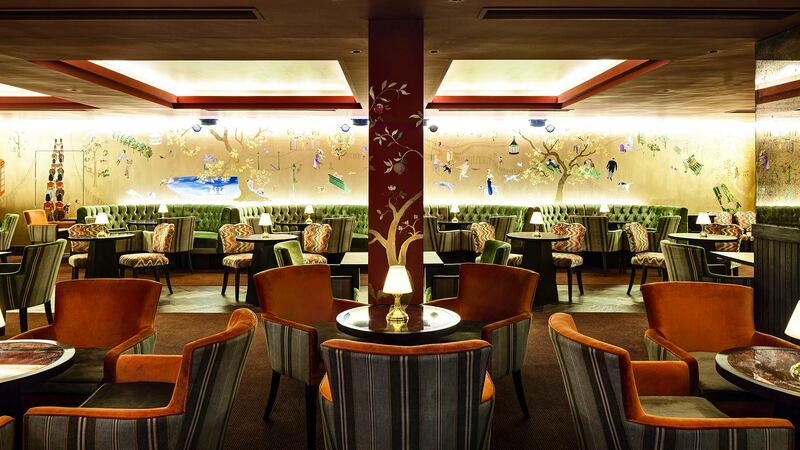 Open to the general public as well as the hotel’s guests, the restaurant welcomes you into the atmosphere of an upmarket ‘60s eatery. 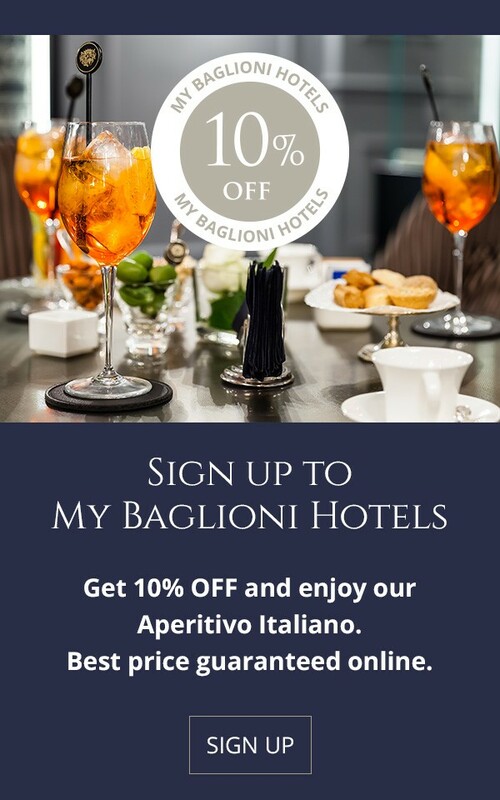 Make your stay at Baglioni Hotel London even more special. 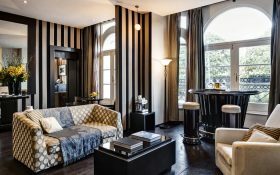 Baglioni Hotels recently held a Facebook contest asking readers and followers to share their Unforgettable Day ideas on social media. The results included over two hundred inspiring and creative proposals. This is the 3rd in a series of posts in which we are sharing some of the most interesting ideas sourced from the comments received on Facebook. A real English Afternoon Tea… with added Italian flair!